Are your Gmail storage space is full ? Are you planning to pay google to buy more storage ? Wait! 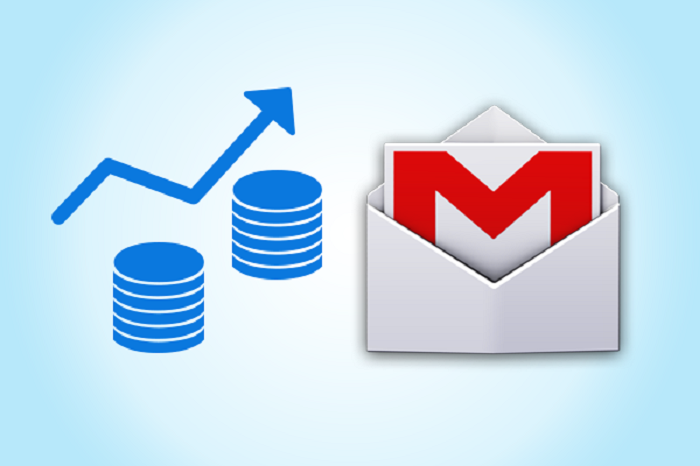 In this article we will tell you how to Increase Gmail storage space free of cost. Open your Gmail account in any browser. Scroll down to the bottom and you will see how much storage you have used. Click on Manage written below it. On clicking it, you will be redirected to page called Drive storage. on this page, you will see a pie chart of how much storage you have used and various plans to buy additional storage. Click on ‘View Details’ link below the pie chart. Now you will see the exactly how much storage you have used in Google Drive, Gmail and Photos. Now click on ‘Learn More’ link. This will redirect you to a Google Drive Help page. Here you will find a number instructions on how you can manage your storage easily. If you have too many items on your trash then go to drive.google.com and login using your Gmail credentials. After login, click Trash on the left. Now click on ‘Empty Trash’ once your are sure that your trash folder does not have any important files because once your file gets deleted from this folder, you won’t be able to recover it. Google Drive Help also has a link Under the section ‘Option 1: Clear Space’ which lets you find out which of your files are occupying the most space. On seeing this list you can decide which files are not require anymore and delete them. If your photos are taking too much storage, then go to ‘Learn more about photo storage’ section under ‘Option 1: Clear Space’ in Google Drive Help. New page will open which have the links to adjust the quality of images saved. Clear out Trash and spam folders in Gmail on regular basis as they take up space too, and regularly delete the emails that are not important.